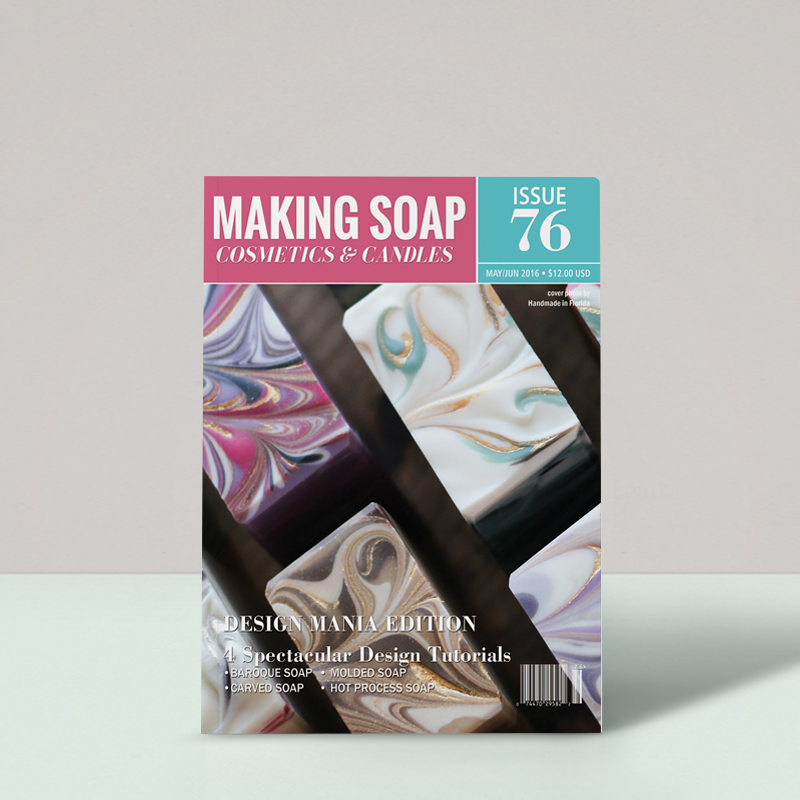 Making Soap, Cosmetics & Candles magazine is your single best source for soapmaking news, ideas, articles, and best of all — formulas (not to mention cosmetics & candles)! We'll spark the imagination and inspire creativity with articles on the latest topics and trends. Our focus is on formulating, design, production, packaging, techniques, ingredients, smart business practices and solutions, and much more. We publish six times a year—in Jan, Mar, May, July, Sept, Nov. Previously known as Saponifier, we now enter our 21st year. We are read across 68 countries through a variety of traditional and non-traditional channels to readers as passionate about our subjects as we are. We are an independent magazine, not part of a publishing empire. Tell your friends!